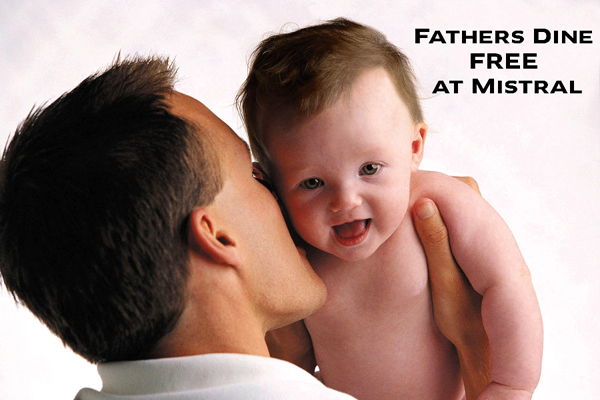 This Father’s Day, Monday 5th December, show your love for your father and ensure he has a day to remember. AtSofitel Bangkok Silom, we celebrate the occasion by invitingall fathers to eat free when dining with one or more guests at our renownedrestaurant, Mistral Restaurant. All fathers also receive a specialgift to mark the memorable day. The delicious Father’s DayBuffet of gourmetinternational cuisine is available for lunch and dinner for just THB 899nett or THB 1,299 nett per person with freeflow beer and wine. This offercannot be used in conjunction with any other promotion or offer. Children under 12 enjoy a 50% discount. Children under 6 years of age dinefree. Dine in a relaxing ambience ofcontemporary all day dining restaurant forlunch or dinner and enjoy our fabulous buffet with a superb array of dishes from around theglobe at MistralRestaurant, 2nd floor, Sofitel Bangkok Silom. Monday- Saturday: Leisurely Lunchtime Buffet from 12:00 pm - 3:00 pm. Monday– Sunday: Grand Dinner Buffet:from 6:00 pm – 11:00 pm. This is the celebration season with a taste ofchocolate. Luscious, sensual chocolate… smoothly elegant… richlyopulent. This season will be forever chocolate when you can enjoy one freenight for every 3 night stay with us, and all the treats that make our I LoveChocolate offer deliciously irresistible. Prices start from THB 2,600++ for aLuxury room. · One free night: stay 3 nightsand pay only for 2. · Complimentary breakfast everyday served at Mistral restaurant. Forreservations, please go to www.sofitel.com this linkshould go directly to the booking engine page of Silom’s package to make it memorable with Sofitel’s I Love Chocolate. · Valid from now to January 16th,2012 for a 3 consecutive nights stay. In case of an early departure the Premiumrate will apply for the entire stay. · Available room categories varyaccording to each property. Blackout dates may apply. 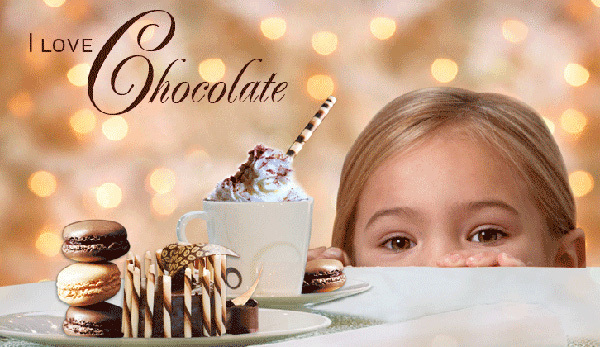 · The “I LoveChocolate” offer includes daily accommodation, guaranteed 3pm latecheck-out on your departure day and one afternoon chocolate delight during yourstay. · Stated prices do not includelocal taxes and extras (to be paid at the hotel). 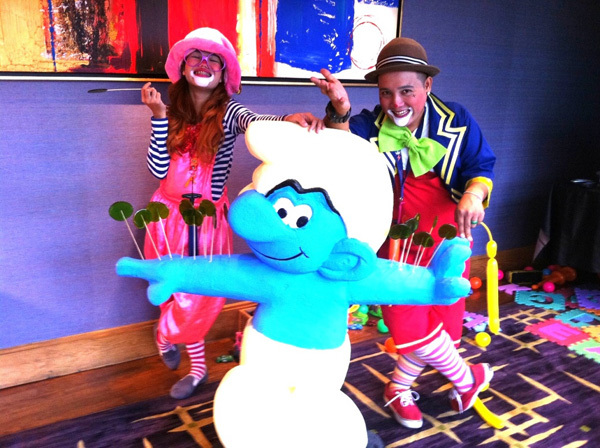 · Hotel’s Children policydoes apply. · Offer content is subject tolocal laws. · Offer doesn’t apply forgroups and cannot be combined with any other promotion. · Cancellations are free ofcharge if made 3 nights before arrival date (6:00 pm local time). After thistime, the hotel will charge the first night. · The guest's credit card detailsmust be submitted. internationalfavourites, and spicy Thai classics. a choice of delicious food for youngsters and a ‘naughty butoh so nice’ selection of French pastries and desserts. anda popcorn and cotton candy machine. Makeyour Sunday a day to savour. Join us at the Mistral Sunday Brunch Buffet. Priceis just THB 899 nett per person including coffee and tea or THB 1,299 nettper person with free flow wines, beers and cocktails. Childrenunder 12 enjoy a 50% discount, and children under 6 dine free. from around the globe at Mistral Restaurant, 2nd floor,Sofitel Silom Bangkok. SundayBrunchfrom 12:00 pm – 3:00 pm. Monday– Sunday: Grand Dinner Buffet: from 6:00 pm – 11:00 pm.